In her previous lives, the girl currently known as Muthoni Ndonga was among other things the head of Shaka Zulu’s harem , a cunning street urchin who converted into a renown mystic healer in current day Armenia, a polar bear, a Chinese dumpling maker, a fierce general under Napoleon. Her adventures run concurrently with 300 wars, the invention of the envelope and the discovery of whisky. In this life, Muthoni Ndonga is a living breathing singer of the hero variety. This embodiment of talent is a songwriter-flow-poet- by night and creative-social entrepreneur by day. And when she transnights between sleeping, waking, eating and breathing, she brandishes her sticks as... *insert victorious sounding horns*... THE DRUMMER QUEEN. 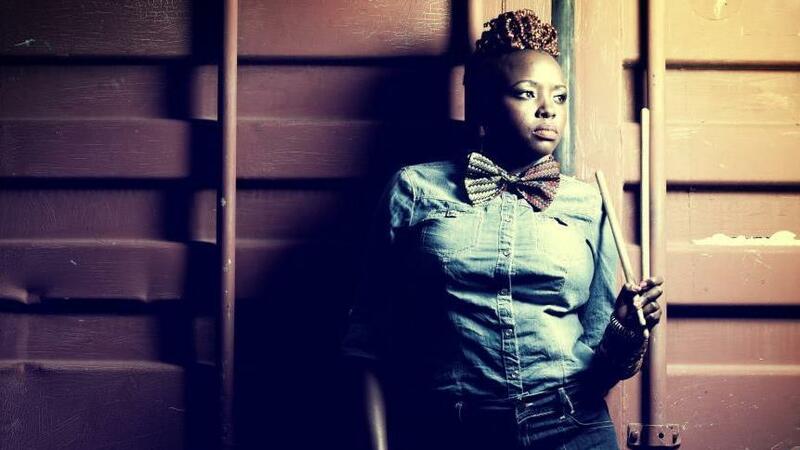 With English, Kikuyu, Kiswahili and awesome at her linguistic disposal, Muthoni blends styles as diverse as salsa, kwaito, afro-rock, taarab, rap, Floetry and R&B on an intoxicating fusion of sounds that you should adopt as the soundtrack for your next life. (You’re Welcome). Across the dimensions, the reviews have understood that she is inspired by love, relationships, politics, and new spirituality, her sound is a conscious call to live, dream and hope in curiosity, courage and strength. Delivered sometimes in song and “Floetry” (spoken poetry) her work is an experimental, entertaining and stirring display of artistry is nothing short of intergalactic.